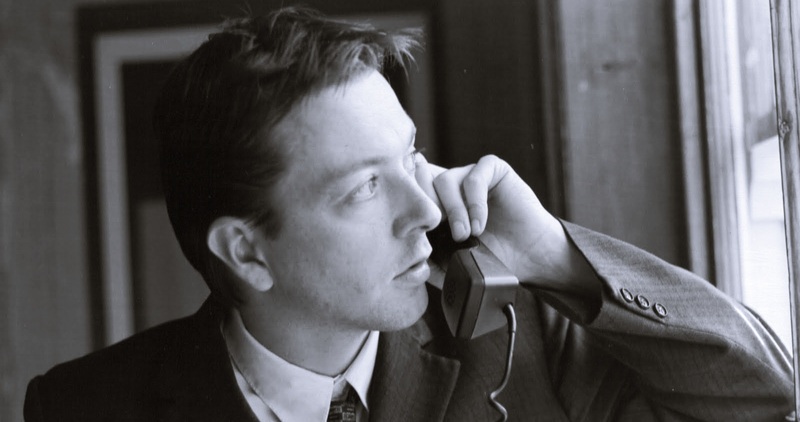 I make no secret that Christopher Nolan is my favourite director ever. Call me unworthy of a cinephile card, miseducated or just a fangirl, but before you unfairly throw those labels out, here my story of just why it is that I love the guy. On July 30th, 2008, my friend and I went to see The Dark Knight. We were both super excited to see it, even though I hadn't even seen Batman Begins (and I didn't for another two years). I could tell you everything about that day until the very last detail. Mainly because it was an awesome day that ended with an awesome film. I hadn't had expectations for it, so I came out completely shocked by this new breed of superhero film. And when that title hit at the end...that's my favourite thing I've ever experienced in cinemas. I was obsessed with that film from the time I saw it, even bringing it along to school for everyone to watch. I was even more interested in the way it swept across the film nation, bringing everyone together in the harmony of Heath Ledger's masterful performance. Little did I know that at age 12, I'd inadvertently been introduced to the man that would change my cinematic life forever - none other than Christopher Nolan. I became obsessed with the guy in 2010 when I was anticipating Inception like it was the air I needed to breathe. The funny thing was, at the very start of that obsession I had only seen The Dark Knight, which I backed up with The Prestige. Before I saw Inception, I saw every film of his apart from Insomnia, which I got for my birthday. However, the period in which Inception took over my life has to be one of my favourite periods of time in these near 17 years I've been alive. As you'll probably know, I saw the film three times in cinemas, and 14 other times on DVD. Those three times were magical, but I wish I could go back and see it for a first time again. Just the sheer brilliance of it, how shaken I was after it (I couldn't even eat my Burger King), and how my friend and I tried to sort out the plot on the whiteboard in maths the following day. Plus, I count the time I went to see it with most of my friends as my favourite birthday ever (well, it was two days after). 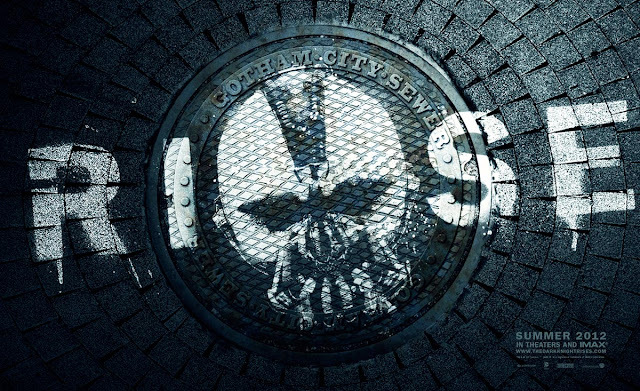 Tonight, probably as you're reading this, I will be watching The Dark Knight Rises. Do I anticipate it because I love Nolan's Batman trilogy? Well, yeah. I was writing a letter to my friend in biology (I was sitting right next to him, but that's what I do in class because I feel an incessant need to write ALL OF THE TIME) telling him about how excited I am to see the movie, because obviously he hasn't figured it out yet, and I came to realise exactly why The Dark Knight Rises is such a big deal to me. It's a new Christopher Nolan film. And what do I love most about Master Nolan? He knows how to fill a cinema. He knows how to use it to its full potential. He knows how to get my bum in that seat and my mind on a movie like no other. Plus, I love how the title hits at the end of all his movies. Sure, the movie may not be perfect. But I'm fairly sure that I'll have a damn great time at the cinemas. I know it's early days, and I've been calm on the review-reading/advertising front with this film unlike I was with Inception, but I have a feeling this may be one of the biggest movie events I'll ever see. And all I can think of is Christopher Nolan, chilling in his perfectly tailored suit, thinking "YES, I AM THE MAN." Well I don't know if he does think that on a regular basis - I was actually talking with my friend today about how I think Chris goes about his day and I came to no conclusion. I just wish I was him. No, this isn't a bad film. Far from it, in fact. It's just that I need something to finish last, and this drew the short straw. While it's great with its portrayal of insomnia, and probably has one of Al Pacino's last great performances in a film, it just doesn't feel Nolan enough. His style is there, but his story-telling isn't - being the only film of his where he hasn't had a hand in writing the script - which occasionally makes the film a little lacklustre for my liking. I also think the rewatch was somewhat marred by the scars I've received from watching Pacino in Jack and Jill and Robin Williams in whatever the hell he's been doing lately. Still, the film is more than worthy, even if it is lacking a bang. Nolan's debut film has its fair share of problems, but it's hard not to admire this black-and-white neo-noir made for a modest budget of $6000. The acting is a little dodgy at some points, which is what you can expect from a bunch of people who haven't hit it big in the acting game. However, this 69 minute flick is pretty interesting and intense, giving us a good insight to the skills which Nolan would build on in the future. And by that I mean the Batman logo which was plastered on one of the doors in the film - apparently he's a psychic too. The film that started it all. The film that brought the superhero genre to its knees and now everyone has been trying to copy that formula. With good reason, too. On a rewatch, I found Batman Begins to be an interesting, complex tale of the emotional weight that goes with becoming a superhero. Plus, Liam Neeson and Cillian Murphy are so freaking badass in it. The fact that this doesn't feature highly in my list probably comes down to not seeing this when I should have (before or somewhat close to my viewing of The Dark Knight), but it is still a beyond excellent origins story. It loses points for the fact that Batman gave Joffrey from Game of Thrones a little Batman symbol to show all of friends. Batman should have decapitated that little prick so Sean Bean could have lived through something for once. Or maybe Chris Nolan is in on the joke too. As Alex learned recently, a lot of people don't like this movie. I've always been aware of its detractors, but I've never been sure of why it is so widely disliked. Probably because when you sit down to write an essay about the revenge theme in it, you end up confusing the crap out of yourself. Seriously, why did I choose that movie to analyse? Probably because it is a great movie in general. On every rewatch I try to figure out every single little detail, but I never can. The film is so tightly constructed, never allowing for one moment of breathing space. Which is how I like my movies - as long as they make sense. And this one does. If this was 2010, Inception would be at the top of the list. However, I've let the dust settle, and it comes down to spot number three. This film is basically the story of my 2010, from my mega-anticipation of it, to introducing it to everyone, to the soundtrack featuring in my day-to-day life. Along with being a bloody awesome film, this will always have a spot in my heart for being the movie that has probably affected me the most. And I admit, I always tear up at the end. Mainly because of those words: "Written and directed by Christopher Nolan". YES. This film is nothing short of masterpiece. Sure, the large majority of that comes from Heath Ledger's masterful performance - the intricate facets that make up his performance is truly fascinating to watch. The film itself, though, is a riveting tale of chaos and the fall of Batman. Plus, the last monologue by Lieutenant Gordon is so unbelievably awesome that I'm permanently on a high after watching it. For The Dark Knight Rises to top it would be quite the feat. I've always said that Nolan continues to develop his work and out-do himself, but I guess that can't be true when my favourite film of his - and my favourite film of all-time - is his sophomore effort Memento. What is it that I love about this film? I really do not know. I just always feel so giddy every single time I watch it. Just the way it is constructed, and seems to unravel after every watch, giving me what's close to a new viewing every time. Guy Pearce's performance is freaking awesome, too. I love this film more than anything else - and I really don't know how I could possibly expand on that without going off my rocker. So yeah, that's one huge post on why I love Christopher Nolan. If anyone tries to tell me that I shouldn't, it'll fall on deaf ears. The guy is awesome - and I can say that without being a crazy fangirl who sends someone death threats for not liking one of his films. Anyway, my The Dark Knight Rises review will be up tomorrow, since it will be far too late to scribble down a review at 11.30pm on a school night. 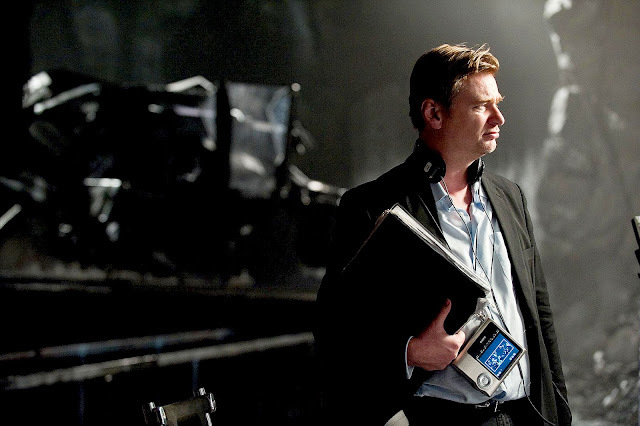 Until then: What's your favourite Christopher Nolan film? Nolan's always been awesome. I don't love all of his films (I could take or leave Following, Batman Begins and The Dark Knight); some I thought were good but not great (Memento, Insomnia and The Prestige), and there's just one I absolutely love (Inception), but he is a very talented director (arguably the best action director working today) and I will be seeing The Dark Knight Rises in theatres, and every subsequent Nolan film in a theatre, simply because of how blown away I was the first time I saw Inception. A viewing experience I'll never forget. I hope you like The Dark Knight Rises. Nolan really knows how to make a cinema rock and roll. I don't think you need to worry about turning in your cinephile card for liking Christopher Nolan's body of work. He's turned out a very high percentage of quality films. I haven't seen all of his films yet -- I still need to see Following, Insomnia, and of course The Dark Knight Rises -- but everything I have seen, I've loved. The only one that I wouldn't give 5 stars to is The Prestige, and that would still get a high four. As to which is my favorite... I think I'd probably have to say The Dark Knight, but that's being colored by my love for superhero movies; Memento is arguably the better-crafted movie. Yeah, I can't give The Prestige a full five, either. It isn't perfect, but it is still a damn good movie. I usually waver between The Dark Knight and Memento. Not so long ago I proclaimed The Dark Knight to be my favourite film - but it has long since been Memento. Lovely post Stevee. I love how much you love Nolan. I guess I am the same way about people like David Fincher and Quentin Tarantino. I haven't seen Following yet, but have more or less really enjoyed every Nolan film, even parts of The Prestige. My favourite Nolan is The Dark Knight. I know that Memento is probably his best, but my *favourite* is TDK. I think it's smart and impeccably made and I love Gordon's speech too. My favourite thing is obviously Ledger's Joker and as much as his acting skills are to thank for that, so is Nolan's vision for such a character. As I was telling my friend just yesterday, I never watch a Batman film for Batman, and this is the best there is. Fincher and Tarantino are awesome! I must write an appreciation post on Fincher when I finally watch all of his films. The Dark Knight is awesome! Unfortunately The Dark Knight Rises isn't as good, particularly since it is missing the Joker, but it is still fantastic. So... I gather you kinda like Nolan? Hey! Blame the casting directors for casting Sean Bean! Hey, he didn't die in Silent Hill... but there's still the sequel coming out this year to patch up that mistake. Oooh, he didn't die in that one? Wow. To be fair, he was never in any danger. The horror aspects of the film were on the female cast. He was just kind of involved in a mystery and search thing. But in the sequel coming out, he's involved in the horror, so it's quite possible he could die. That's quite possible. If he lives I'd be very surprised. My favorite Nolan is The Prestige. I like the world it takes you into and it’s such a mindfuck. You watch it over and over looking for every single detail hinting at what you know is coming yet it surprises all the same. Christopher Nolan’s films are the reason I go to the theater, they’re not just movies, there experiences. I saw Inception in theaters twice; both times it was incredible and I look forward to seeing The Dark Knight Rises on Saturday (in IMAX!!!). You have such passion for the guy and inspire me to watch all of his films. The Prestige is pretty fantastic for all the little details that make it up! I wish I got to see The Dark Knight Rises in IMAX. That would have been epic! But all go for 35mm! I totally agree on Memento as number one but would rate Insomnia higher than Following. Really hope TDKR lives up to your expectations! Yeah, Insomnia and Following are kinda on common ground with me. There's just something about Following that edges it out. TDKR was awesome! Ah you're post reminded me why I love Nolan, he's a entertainer - and a brilliant one. Sometimes I forget that, because I get so caught up on the "quiet, profound and artistic" ones. But oh, we can't even talk about action films when Nolan is involved, because it's his thing, it's like his own genre. From the ones you mentioned I'm missing out on Following. And I never realised Insomnia was his! I can't blame you for watching Inception so many times, it was the best cinematic experience of my life so far, what a thrill. And the whole theatre was feeling the same way in that final moment, when the little thing is spinning... I could feel everyone leaning forward, holding their breaths. He's a genius. Oh I'm so jealous right now! The Dark Night Rises doesn't premiere around here until the 2nd of August! It's my most anticipated film of the year, I can't believe it's the trilogy's end! I may cry. Yes, Nolan does have his own genre! Which is awesome. That final scene of Inception...I love all of the different receptions that it got at the three screenings I went to. It was so cool. Haha, I cried in The Dark Knight Rises. It was beautiful. As you already now, I love Nolan immensely too. I don't think it takes away some ones cinephile card but in fact solidifies it. Obsession of a certain film maker is exactly what being a movie geek is about. I don't even care if that film maker is Michael Bay, or that they have a love of campy B-movies like Sharktopus. It just shows people have different tastes. But its all about the passion. And yes, I have seen TDKR. Yup, different tastes are what make this world go around. Strangely we have a Directors Showcase on Nolan going live tomorrow!! My review for TDKR is also up!! come and check it Stevee!! Haha, can't wait to check it out! Due to being a bit older, I was able to jump aboard the Nolan train right with Memento. It remained my top Nolan film until recently when subsequent viewings of The Prestige has put it on top, with Inception a close third. The Dark Knight is a bit back in fourth, some amazing stuff but a bit clunky at times. Then I'd have Following, Insomnia and Batman Begins bunched in the good not great level. While I appreciate the idea of Doodlebug, his short film, it's rather poorly made. I wish I could have jumped onboard the Nolan train a lot earlier! Mind you, I would have been...5 when Memento came out. Memento is absolutely my favorite of all Nolan's films, too. Excellent stuff. I appreciate him for not using slo-mo and shaky-cam but I don't get what the fuss is about. Dark Knight and Insomnia were enjoyable but the rest (including TDKR) bored me. Hmmmmmmm, we'll have to agree to disagree. 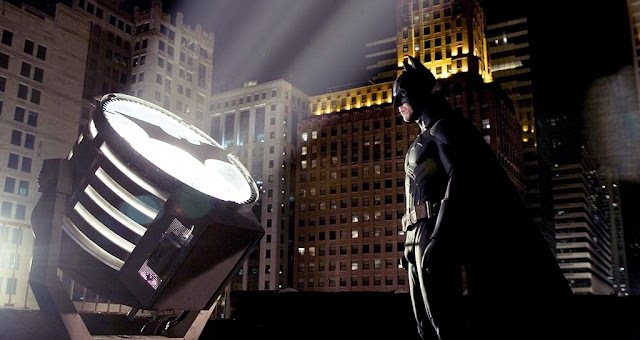 Well, The Dark Knight is my favorite Nolan film so far. In fact, I've made a list of Nolan's best to worst films so far as I will be watching The Dark Knight Rises this coming weekend. Hey Stevee, sweet post! I'm pretty amping for the new Batman movie too - and I really have to agree with you about Mr Nolan being a cinematic genius!!!! I've only seen four of his films so far (Memento, Inception and both the Batman movies) but I'd say my favourite would still have to be Inception. Such a great film, and I loved how everyone talked about it for ages!!!! He's easily my most favourite Director too - such a genius. Prestige my fave but very similar order here too with Insomnia and Following at 6th and 7th. I'll have to see where Dark Knight Rises fits in, it will be pretty high! Nice, love this. My favorite is also Memento, I seriously doubt that'll ever be topped. I'd go with Inception second - love that movie. Glad to find another die hard Nolan fan! You should never feel bad for loving Christopher Nolan. Seriously, if some readers don't like it, it must be them to cope with it, not you. The Batman logo was in Followng? Didn't remember that. And it's beyond me why people don't like The Prestige. Just beyond me. Although I quite enjoyed your list in the second part of this post, I have to tell you that the beginning of it moved me the most. My favorite is still Inception.